The Rockford Area Convention & Visitors Bureau (RACVB) was honored during the Illinois Governor’s Conference on Travel & Tourism with two of the top destination marketing awards in the state. Hosted by Enjoy Illinois, the annual conference was held in Springfield, Illinois March 20-22, 2017. 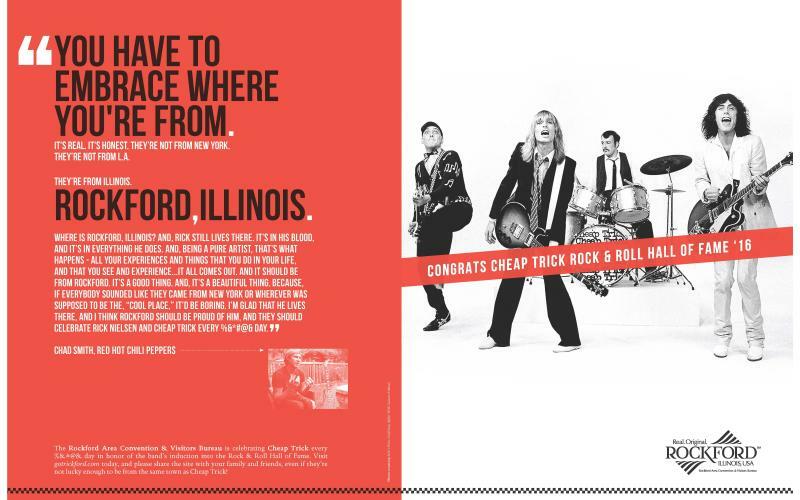 Creating the website www.GoTrickford.com highlighting all things Cheap Trick and Rockford. A video with Chad Smith of the Red Hot Chili Peppers talking about Cheap Trick and their connection to their hometown of Rockford. The video has been viewed more than 120,000 times between Facebook and Youtube and reached more than 260,000 people. Each band member’s childhood street was renamed in their honor. Special “Dream Police” welcome signs were installed at key roads entering the city. Streetlight banners were displayed throughout the community. Billboards were erected throughout the community. A comprehensive digital advertising campaign received more than 1.4 million impressions. Featured on WGN-TVs “Around Town” segment with a live remote from the Coronado Theatre and other downtown Rockford attractions and an on-air interview with Rick Nielsen. Announcing local basketball favorite Fred VanVleet as the RACVB’s first Sports Tourism Ambassador. More than 2 million earned media impressions. Advertising with industry publications like Sports Planning Guide and Sports Travel. Branding at industry trade shows such as US Sports Congress. Branded merchandise direct marketed to industry professionals, including shirts, socks, clocks, darts and mini basketball hoops. 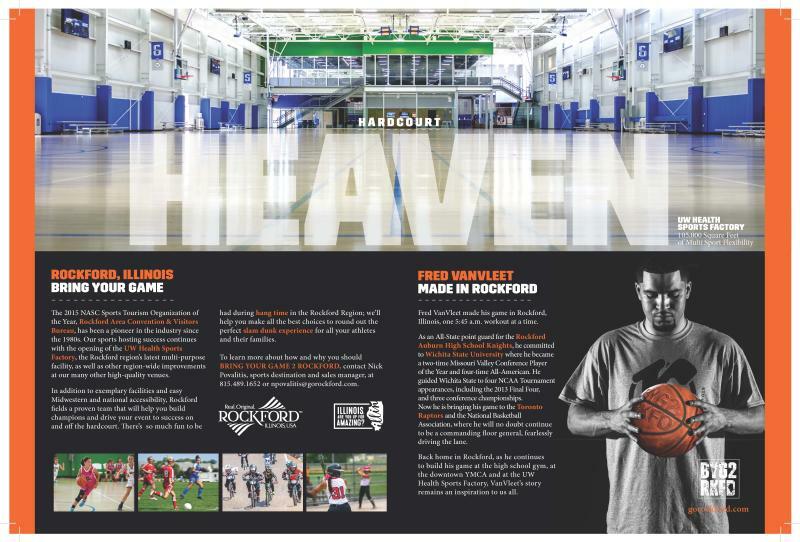 An all-new Bring Your Game 2 Rockford sports tourism showcase video. The Fred VanVleet All-Star Party fundraiser at the District Bar & Grill. Billboards erected in Rockford featuring Fred VanVleet. 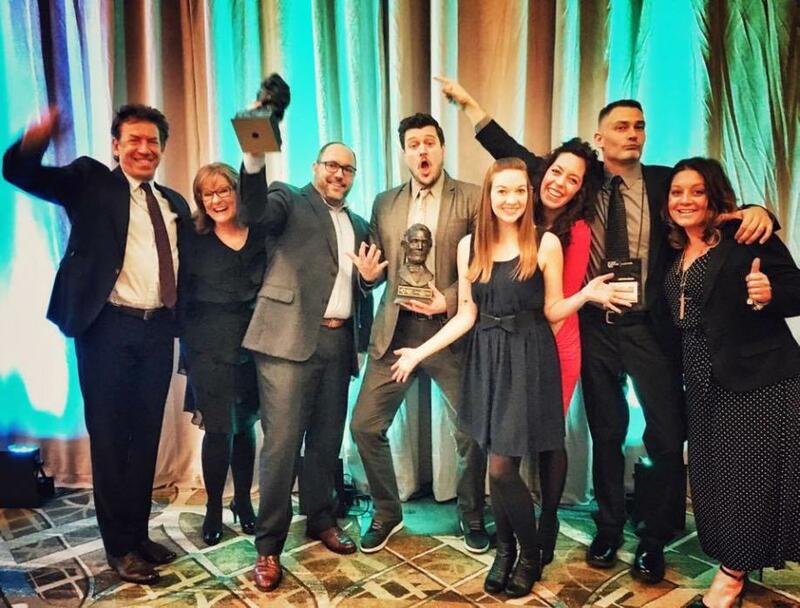 In addition to the Governor’s Conference wins, RACVB projects garnered branding and marketing agency GrahamSpencer several American Advertising Federation ADDY awards at the 2017 competition presented by the Northern Illinois Advertising Federation. Winning ADDYs included BYG2RKFD Sports Tourism advertising insert; Trickford USA website (www.GoTrickford.com); Welcome to Trickford advertising campaign; In Good Company video and digital advertising campaign. Illinois Governor’s Conference on Travel & Tourism recognizes innovative tourism promotional and marketing initiatives from across the state. Representatives of destination marketing organizations, trade associations, chambers of commerce, convention and visitor bureaus, tourism attractions, museums and cultural institutions, restaurants, hotels, retail and entertainment centers and other travel-related companies who are registered to attend the conference are invited to submit entries.